Friends and Family of the South Carolina Division. As many of you have heard, there is unrest in the state of Virginia concerning Washington - Lee anniversary and the removal of flags at Lee's Chapel. 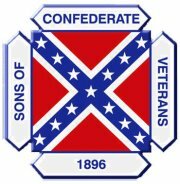 To you, Sons of Confederate Veterans, we will commit the vindication of the cause for which we fought. To your strength will be given the defense of the Confederate soldier's good name, the guardianship of his history, the emulation of his virtues, the perpetuation of those principles which he loved and which you love also, and those ideals which made him glorious and which you also cherish."